Questions? Or just want to chat about gaming? 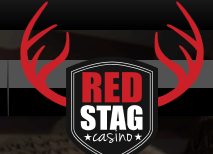 Contact Red Stag Casino 24/7 via any of the methods below or click on Red Stag Casino's FAQs. Red Stag Casino's customer service team is multilingual and ready to assist you around the clock. Red Stag Casino's live chat representatives are available to assist you 24 hours / 7 days a week. If you need any assistance please email support@redstagcasino.eu for all your casino-related questions and issues. Please remember to include your account number. If you would like to be considered for this exclusive and rewarding club, please send an email to vip@redstagcasino.eu.